Here is a map demonstrates territory of Kazakhstan, of Russia. huge city Volgograd for Garmin. You can find here large city Saratov free download. Displayed city Volzhskiy presented. city Engel's free download. On this map city Kamyshin presented. You can find here city Balashov free download. Displayed city Borisoglebsk for Garmin. Displayed city Mikhaylovka presented. You can find here city Akhtubinsk marked. city Uryupinsk free download. On this map city Frolovo free download. city Marks free download. 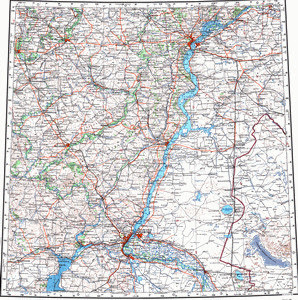 On this map city Znamensk marked. You can find here city Privolzhskiy marked. Displayed city Uvarovo marked. On this map city Atkarsk presented. On this map city Kalach-na-Donu download for free.